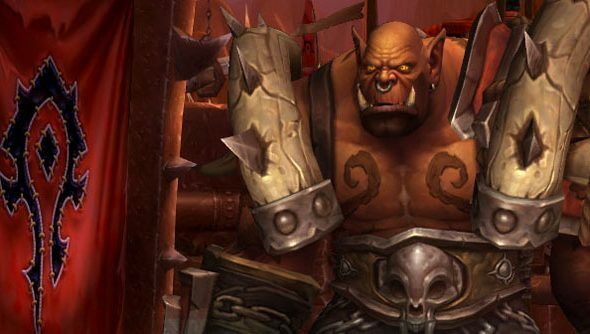 Mists of Pandaria’s 5.4 patch is live, and it’s not short on stuff: try a brand new island, flexible raid system and fisticuffs with Garrosh Hellscream in the undercity beneath Orgrimmar. But it is a little short on daily quests. And come to think of it, so was its predecessor, the aptly named 5.3. What’s up with that? It’s a very different mindset to that which saw Blizzard pile on the dailies to ensure that “the content wouldn’t feel repetitive”. But Chilton pinpoints one missing detail that kept the system in check – originally, players could only play a total of 10 per day. But as the dev team raised that cap to 25, and then did away with it altogether, they observed an unfortunate trend in player behaviour toward habits which weren’t “the most fun way to play the game ultimately”. Subsequently, Blizzard made a conscious decision to avoid adding to the daily quest pile for 5.3 and 5.4. And while Chilton suggests they may return to “some mix” of dailies in the future, he feels the dev team are now headed “in an interesting direction”. What’s more, he’s not convinced that endgame WoW players could return to the playstyles they’d adopted at the time of 2007 expansion Burning Crusade – even if they wanted to. “Burning Crusade had the advantage of having the 10 daily quest cap. I don’t think we can underestimate how much that helped players not burn out,” he said. “But at the same time, I think that if we took those great quests, and we just had those quests, that set of quests, and essentially translated them into Mists of Pandaria, we probably would have run across some of the same problems. “The reality is that the audience evolves over time, and the game itself evolves over time. So some of the things that were popular in the past wouldn’t necessarily be popular today. You can’t repeat the past. Blizzard, then: the Nick Carraway to the WoW playerbase’s Jay Gatsby. Do you think Chilton’s right? Or will you beat on, boats against the current, calling for more daily quests?